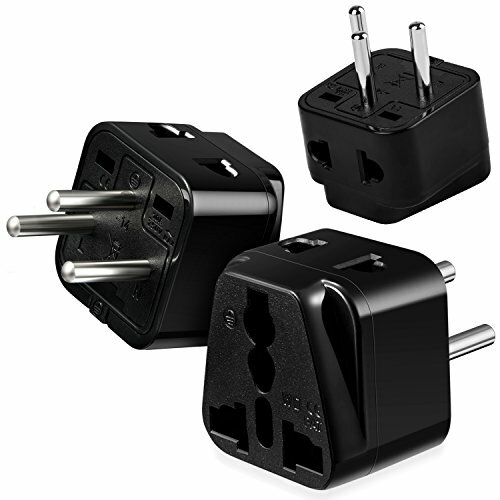 The universal plug adapter allows you to take all your devices for use in Israel. With a 250v 10A capacity, the plug is capable of handling devices that require up to 250V, making it safe to use. Used primarily in Israel. Use this Type H 2 in 1 universal plug adapter to convert your power needs. This Type H 2 in 1 universal plug adapter is small in size and light in weight, allowing you to use anywhere in Israel your travels may take you. Many devices allow for a voltage range of 110v - 240v. This Type H universal plug adapter only adapts the plug style and not the voltage. The adapter should only be used with power converters or devices with universal power supplies.